Propaganda plays on human emotions—fear, hope, anger, frustration, sympathy—to direct audiences toward the desired goal. Hitler argued that the successful propagandist had to understand how to psychologically tailor messages to the public's emotions in order to win people over. Propaganda can serve as a form of political and social warfare to identify and vilify opponents. It can call into question the legitimacy, credibility, accuracy, and even the character of one’s opponents and their ideas. Nazi propagandists contributed to the implementation of the regime’s policies by publicly identifying groups for exclusion, justifying their outsider status, and inciting hatred or cultivating indifference. 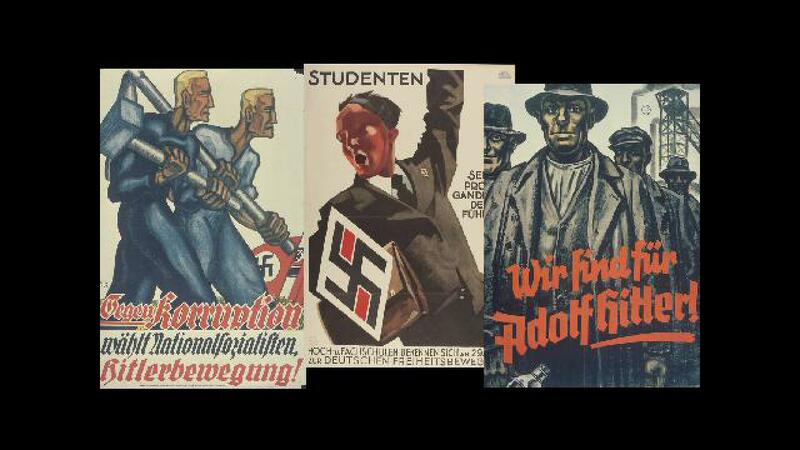 Adolf Hitler likened propaganda to political advertising: it had to distinguish the party, cause, or individual from their competitors. The Nazis branded themselves and their leader as young, patriotic, political outsiders who alone were capable of reforming Germany. They painted other political parties as special interest groups while portraying the Nazi Party as an inclusive movement representing all non-Jewish Germans, regardless of class, religion, or region. Effective propaganda often times conveys messages, themes, and language that appeal directly, and many times exclusively, to specific and distinct segments—and even sub-segments—of the population. Propagandists create messages that appeal directly to the needs, hopes, and fears of the targeted groups. The Nazi Party promoted itself as an inclusive political movement that represented all non-Jewish Germans, regardless of class, gender, religion, or region. biased information spread to shape public opinion and behavior. Do you know how to recognize and respond to it? ...how to recognize propaganda when you see it. ...and sort examples uploaded to this site. ...examples, interpret their messages, and assess their impact.